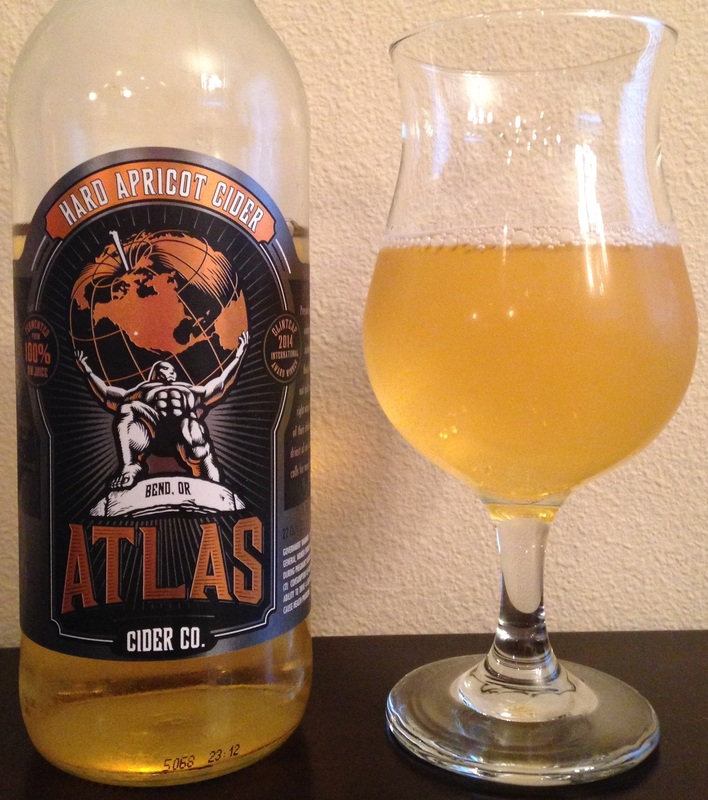 Review of the Hard Apricot variety from Atlas Cider Company. I’ve now tried all four of their varieties which are available by the bottle, Apple, Blackberry, Pom-Cherry, and Apricot. Availability: Year-round in OR, WA, & ID. Cider Description: Pressed golden orange apricots dominate this uniquely tart cider. The Apricots add a subtle flavor that is like combining a peach and a plum but not quite as sweet. 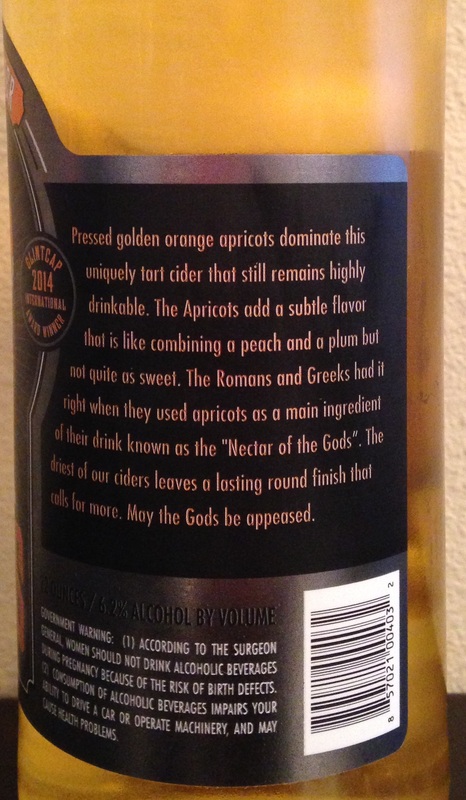 The Romans and Greeks had it right when they used apricots as a main ingredient of their drink known as the “Nectar of the Gods”. The driest of our ciders leaves a lasting round finish that calls for more. May the Gods be appeased. 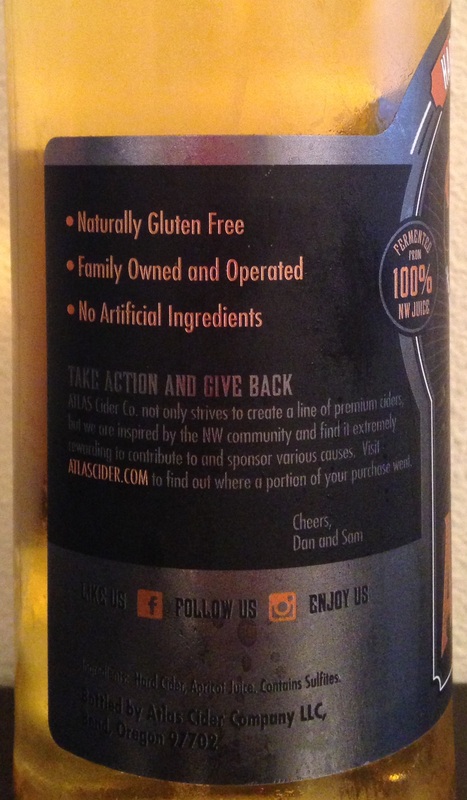 Cidery Description: ATLAS Cider Co. produces authentic hard cider fermented from 100% fresh pressed fruit from our region. Partnering with Northwest farmers to source our fruit has been a priority of ours from the beginning. Our ciders start with a base of NW varieties that are pressed to achieve a balance of sweetness, tartness, and dryness. 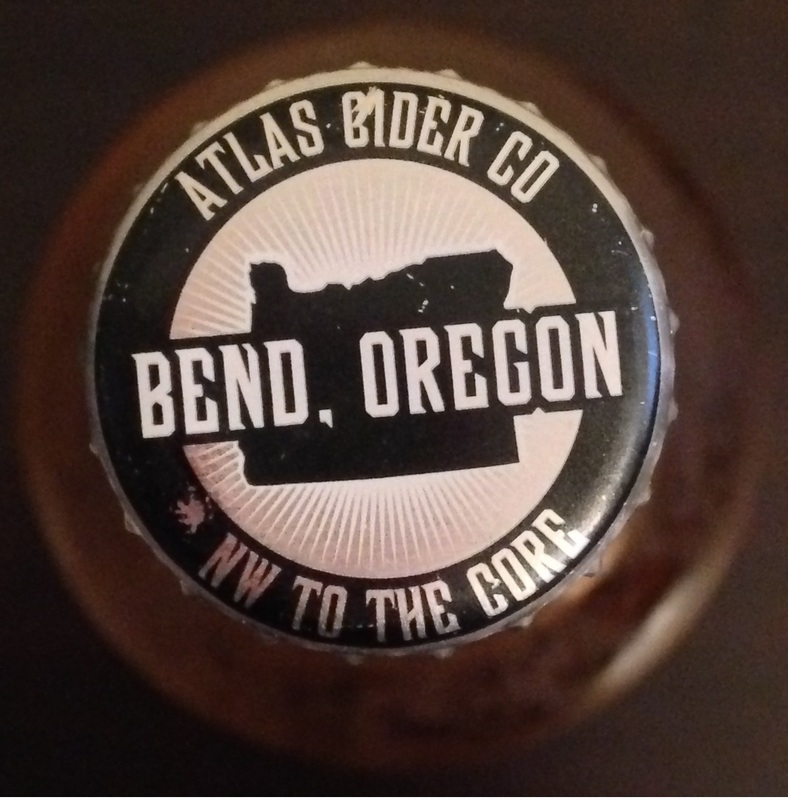 We forge our ciders in the heart of the NW in Bend, OR. Fermented from 100% fresh pressed fruit. All fruit from our local OR/WA region. No use of anything artificial or colorings. Balanced with just a touch of sweetness. Naturally Gluten free. 22oz bottles and kegs available. Where Bought: My husband picked this up for me at Albertsons. Actually, he brought home all three Atlas varieties they had there! Apple, Apricot, and Blackberry. How Found: It showed up in the fridge (although I’ve seen them at almost every bottle shop in my area). First Impression: Straw yellow with a hint of orange. Light carbonation and foam. Smells like apple, apricot, peach, and tropical/pineapple juices. Opinion: Semi-sweet. Bold apple, apricot, peach, and tropical/pineapple flavors. Very juice-like. Well-hodden alcohol. Light tartness and sourness. Moderate acidity. No bitterness, astringency, tannins, etc. Light bodied. Almost no carbonation. Quick finish. Crisp and refreshing. A bit one-dimensional. Most Similar to: Woodinville Ciderworks Tropical, which I tried at Cider Summit Seattle 2015 (tasting notes here). It also had bold fruitiness and was juice-like but I was a big fan. Closing Notes: I’m not a huge fruity juice-like cider fan, but I quite liked this. Its an easy drinking cider which would be especially nice in summer. My husband was also a huge fan. I can see why Atlas is so popular! They have tons of Facebook fans at least. I think this cider had the best flavor of the four Atlas varieties, but overall I think I liked the Apple best as it was a touch more complex. Maybe someday I’ll get to try some of their special releases, which mostly seem to be available at their taproom. Check out their Vimeo site. It currently includes three videos, including a behind the scenes look at the details to operating a cider company. 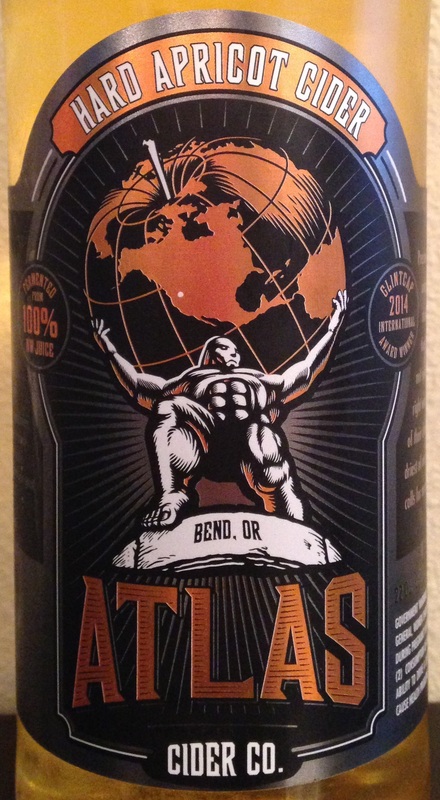 Have you tried Atlas Apricot? What did you think? Carrie-Thanks for sharing! I was actually kinda disappointed with that article. If you like to keep up with cider news and such, I’d recommend following Cider Says on Facebook..I share up to a few interesting cider links a day. Cool! I agree as a Minneapolite. Socialable Cider Werks does not a cider-loving city make.